Heat oven to 375°F. Line large cookie sheet with cooking parchment paper, or spray with cooking spray. Remove woody ends from asparagus spears; discard. In 10-inch skillet, heat 1/2 inch water to boiling. Add asparagus; reduce heat to medium-low. Cover; simmer 2 to 3 minutes or until crisp-tender. Drain. 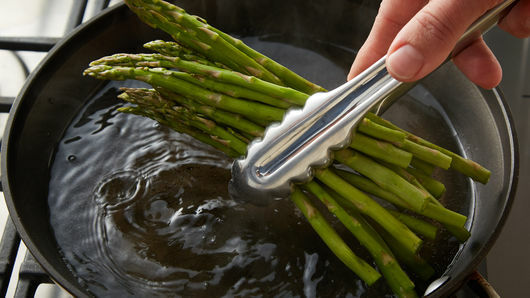 Plunge asparagus into bowl of ice water to cool; drain on paper towels. 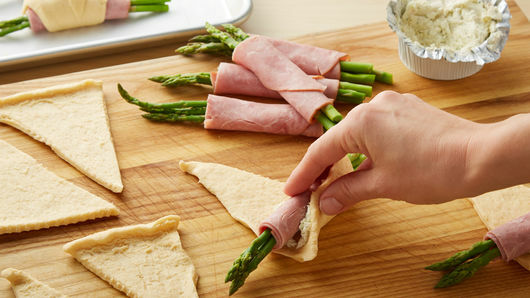 Cut ham slices in half; wrap one half slice around middle of 3 asparagus spears. 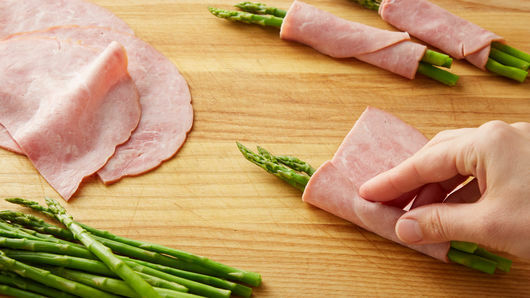 Repeat for remaining ham and asparagus spears. On large cutting board, unroll dough; separate dough into 8 triangles. Crumble and press a generous tablespoon Boursin™ cheese onto bottom wide end of dough. 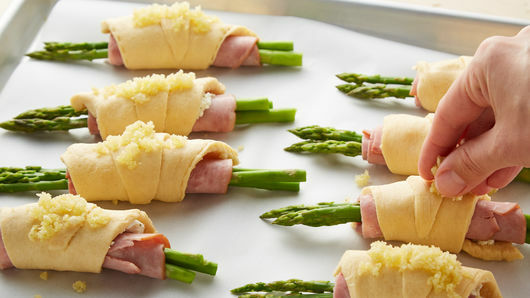 Place one asparagus and ham bundle on wide end of dough, and roll dough into crescent shape; place on cookie sheet. 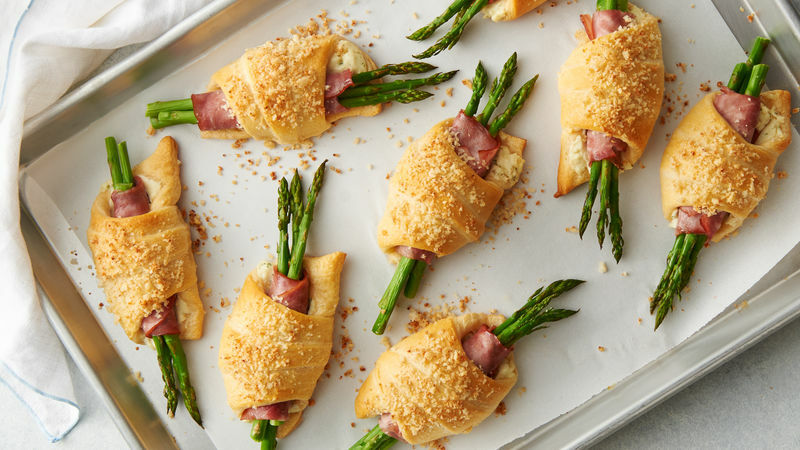 (Ends of asparagus will stick out of both ends of dough.) Repeat for remaining bundles. In small bowl, mix bread crumbs, Parmesan cheese and olive oil; mix well. Sprinkle on top of crescent dough, pressing lightly to stick. Bake 14 to 19 minutes or until deep golden brown. Remove from cookie sheet to serve. Serve immediately. Lining your pan with cooking parchment paper makes cleanup a breeze! Blanching asparagus before assembling into bundles gives them a head start on the cooking process and will ensure they are perfectly done after baking. Boursin™ cheese comes in a few different varieties. Select your favorite flavor to use in the bundles. Plan to serve immediately for best results.